While you don’t necessarily have to go for a Christmas theme just because you are getting married at Christmas I feel I should point out the obvious benefits in terms of décor. Everywhere from your home to the hotel will have ornate decorations and romantic fairy lights which will give a lovely backdrop without you having to spend a penny extra. One of the hardest things about planning a Wedding can be trying to please all your friends and family when it comes to setting the date. One of the major plus sides is that lots of people will want to travel home for Christmas anyway so can combine that with celebrating your big day. Two birds with one stone and all that! See number 2 above! Excluding your scrooge wannabes and your Bah Humbug types most of us tend to be in good cheer around the festive season and enjoy meeting up with friends for a tipple or two and a Wedding thrown in to the mix is a welcome addition to the party list. Even though winter weddings are growing in popularity it is still classed as off season and with the exception of entertainment you may find that there is less competition for suppliers and maybe even some deals to be had. Maybe factor in distance when you are booking suppliers and stick close to your area – you really don’t want a call on the morning to say that the cake is stuck 3 hours away due to snow! 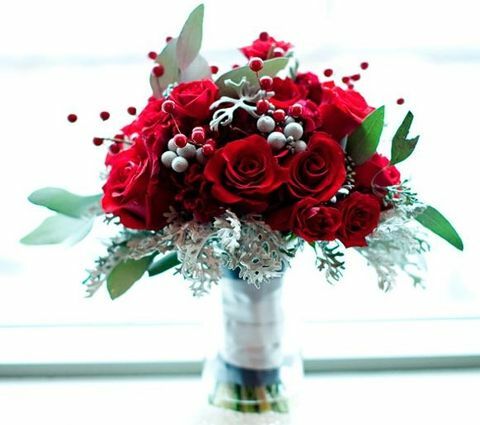 Generally, people will associate Christmas or New Year with the Day you got married for a good few years which will inevitably prompt them to remember your anniversary easily. This may be especially useful to those partners with a bad memory for those special anniversaries and save you a lot of heartache for years to come! These days they aren’t any constraints on when couples get married and if the love is there then the timing is perfect. If you love all things bridal, then don’t forget to follow teambride.ie on Facebook.